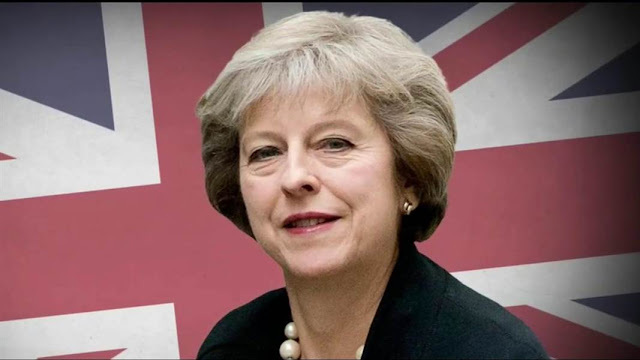 The United Kingdom has vowed to assist Nigeria to end incidents of kidnapping in the country. The British High Commission through the Administrative Assistant, Private Office in Abuja Nigeria, Wayne A. White, said the United Kingdom was aware of the widespread insecurity and killings in Nigeria and was doing a lot to provide technical assistance to Nigeria to combat the scourge. A civil rights organization, HURIWA has appealed to the British Government to provide technical assistance to Nigeria and to mount pressure on President Muhammadu Buhari to confront the widening and increasing spectre of bloody and violent kidnappings by armed gangsters and attacks of communities by armed Fulani herdsmen/bandits all across the Country. In the letter it sent to the British government recently, HURIWA had raised alarm that there is now widespread breakdown of law and order occasioned by the activities of dare devil armed kidnappers all across Nigeria. According to the letter signed by the National Coordinator, Comr. Emmanuel Onwubiko, the Pro-democracy told Great Britain that: "The Human Rights Writers Association of Nigeria (HURIWA)- one of the most prominent and consistent social justice advocacy group in the last eleven years in Nigeria is writing to your good offices and your good self, to intimate you of the general breakdown of law and order in Nigeria the largest black African country." "The breakdown of law and order manifest more in the area of extensive and widening spectre of armed kidnapping all over the country." "Citizens of Nigeria and foreigners who live and engage in legitimate businesses in Nigeria are no longer safe. They can just be picked up by armed kidnappers at any point in time. " "Kidnapping people in Nigeria now is as easy as walking into a supermarket and picking up a commodity of your choice." "In Nigeria, nobody is safe unless those that carry arms like the security agencies and those who hold executive offices. The rest of the citizens of the country and even the foreigners including the Americans, European, British doing legitimate businesses and helping to grow our economy and even to help themselves are no longer safe because they can be kidnapped at any point in time." "The primary target of kidnappers presently are the Clergy of both Islam and Christianity. Some members of the security forces seems to be working in cohort or colluding actively with these kidnappers." "We urge the international community to provide technical assistance to help the Nigerian Government to investigate if there are possible linkages between armed kidnappers and some members of security forces so that the network of the kidnappers can be broken and the menace checked without further waste of time and before many more Nigerians or foreigners are killed." "It is no longer the case of insecurity in the North East part of Nigeria. No part of Nigeria is safe anymore including North west, North central, South East, South South, South West". "Travellers who go by road are no longer safe. The only safest means of traveling is by air and if you can't afford it then you travel at grave risk. On many occasions dozens of passengers in buses are kidnapped. Some who travel privately are also kidnapped. The father of the England based professional footballer Mr. Mikel Obi has been kidnapped twice. Many of our international sportsmen have had their Parents kidnapped. "We hereby call on the international community to intervene in providing technical assistance to Nigeria and to put pressure on the Nigerian Government to sit up and carry out its primary constitutional duties which is protecting lives and property of the citizens and others doing legitimate businesses in the country. "The Governments of Muhammadu Buhari have received a second term mandate, so we call on the international communities to mount pressure on the government to wake up and protect lives and property of Nigerians." In its response, the United kingdom wrote as follows: "Dear Comrade Emmanuel. Thank you for your letter dated 27 March 2019. We note your concerns, including that of the increased rates of kidnapping.Please be assured that the British High Commission will continue to work with the government and people of Nigeria for the development of the country."